Troy Lorenz is a director nominee. 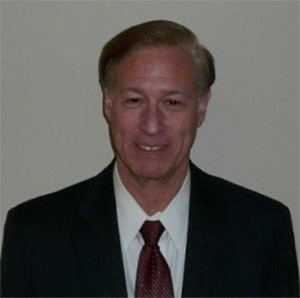 Mr. Lorenz is a seasoned business professional with a broad experience in business development and operations. From his experience with Price Waterhouse as a tax attorney/CPA, private practice in estate and business planning, regional developer for several Fortune 500 financial services companies, consulting engagements in North Dakota’s Bakken Oil Formation as well as other businesses, he has worked in a variety of roles that have enlisted his educational and experiential background. From startups to regional territorial development to independent oil and gas service companies, he has worked to help businesses and business owners mitigate their risks, meet compliance requirements, standardize sales and sales training, streamline their operations and build high performance teams. Mr. Lorenz was raised and has worked the majority of his career in the upper Midwest where energy and agriculture play an integral component to the wellbeing of not only the region but the global community. Troy is a firm believer in continuous improvement, creating predictable results through process and systems, and the importance of businesses using a multidisciplinary approach to achieving results whether it be by the advisors they surround themselves with or the internal teams that work day to day in the business. Mr. Lorenz’ other experiences include lobbying, and Legislative Coordinator for the Governor of North Dakota and Assistant Attorney General for the North Dakota Attorney General’s Office. He earned his undergraduate degree in accounting and his Juris Doctorate from the University of North Dakota. © 2016 Alliance BioEnergy+, Inc.